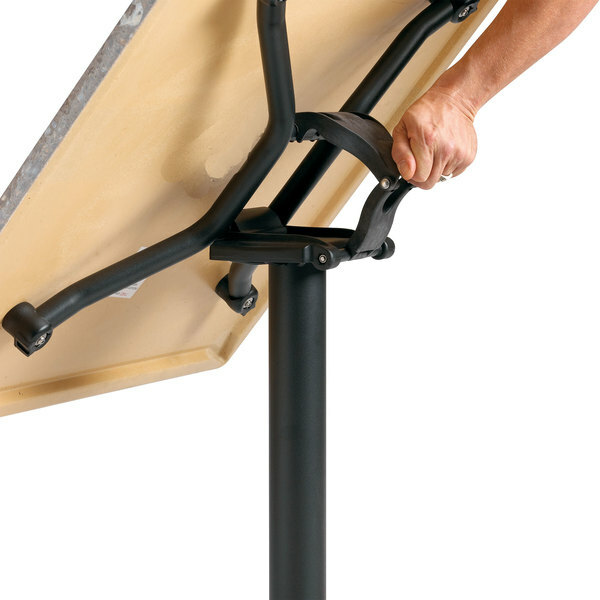 For an attractive and functional alternative to traditional bases, try the Grosfillex US809117 indoor or outdoor table base! 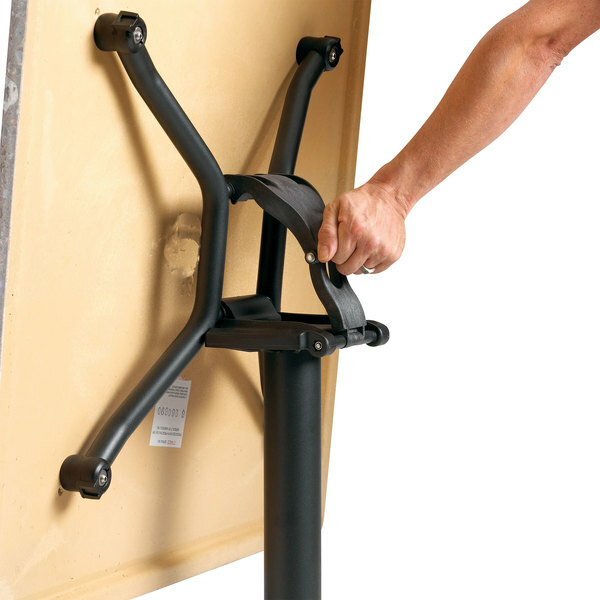 Boasting a convenient tilt-and-lock design, this table base enables space-saving storage while the tables are not in use. 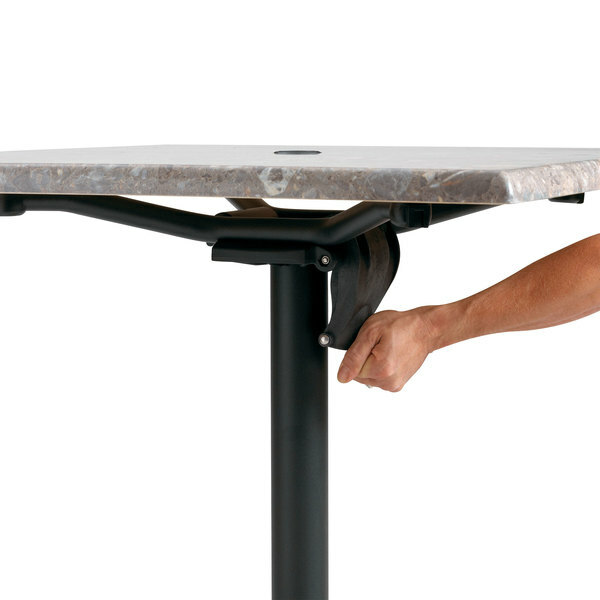 Simply unlock the lever underneath, and your entire tabletop tilts vertically, so you can nest unused tables out of the way. This item meets ANSI/BIFMA standards for comfort, safety, sustainability, and durability in furniture. 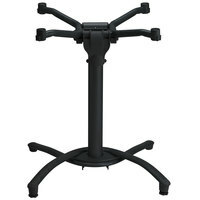 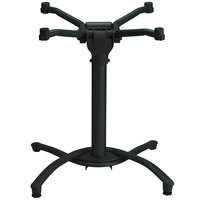 It's made of durable, yet light-weight aluminum with an attractive black finish. 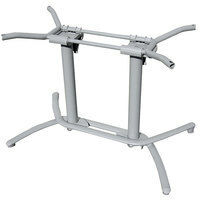 It's lightweight construction makes it easy to move and transport, but it is still plenty durable for daily use. 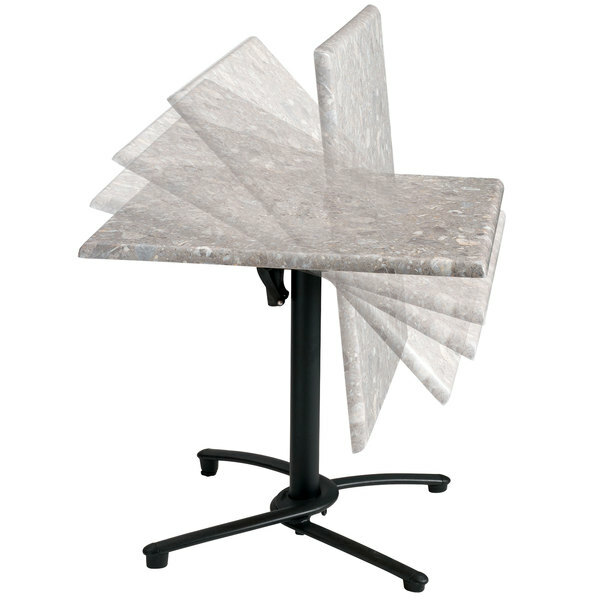 This base is compatible with Grosfillex 24" square, 24" x 32" and 30" round molded melamine table tops (sold separately).